At Parentous, we interview people who inspire us not only to be better parents but also better individuals. Today we feature one such fabulous person who is working towards bringing parents together to speak about cultural differences. Meet Aditi Wardhan Singh, the ‘Girl from nowhere’ who is now founder of Raising World Children, an e-zine that is based on the premise of equality, inclusivity and compassion. 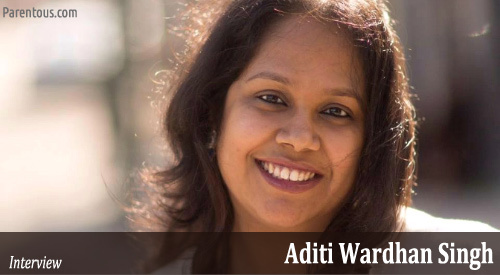 Q: Tell us about Aditi Wardhan Singh- her background, interests and professional pursuits. Very few people know that I am a trained classical dancer (Bharatnatyam and Kathak). Impromptu dance parties with my little ones is my ultimate picker-upper. Q: What is Raising World Children (RwC) all about? How is it different from other parenting portals available? Raising World Children is a digital platform that welcomes people from around the world to talk about how their heritage, city, and culture affect them. It is an effort to make the world more empathetic to our differences and aware of the common thread that bind us all. RwC is different from other multicultural or parenting platforms in the context that it gives you a peek into various corners of the world as seen by minds of both – the young and old. We look at cultures not only as art or music but everything in the realm of people and their origins. This helps bring forth dialogue for acceptance. Q: What motivated you to start RwC? I was working on a book project when I happened to write an article for RichmondMomsBlog called “We are Raising World Children”.The topic seeped into me and made me think hard! When talking about cultures, what if we had a platform for everyone to talk about how cultural challenges affect their very being? Life changes every two hours. And people are unaware of those nuanced differences. That germ of a thought gave birth to RwC magazine. I have been blessed to get amazing stories and a phenomenal response to what can only bear witness to the fact that the world wants to learn from and about each other and grow together. Q: How is parenting of today different from the yesteryear in terms of exposure given to children of the culture and roots they belong to? Today, parenting is unfortunately seen in extremes. Owing to the fact that most families today live away from their home, you see young parents striving relentlessly to either completely fit into their current city or hold desperately onto their heritage. Their desire to pass on their language, customs and practices sometimes makes them blind to the realities of life. The urge to fit in leads families to unknowingly lose track of their true values. And fitting in requires fulfilling a lot of materialistic demands. Overall, this division in thought leads to extremism in thought and subconscious prejudices being passed on. Q: You have addressed yourself as “The Girl from nowhere” in some of your blogs. Can you tell us where that feeling came from? Being an Indian, raised in Kuwait I did not know I was any different than any other Indian till I went back to India after the Gulf War. The question, “Where are you from?” quite stumped me. There is such a strong emphasis within Indians around the world on language, religion, state that I found it hard to connect with the Indian community. I could never really relate to the traditional Indian thought processes. I always felt at home in Kuwait, where English is widely spoken but with no citizenship, calling it ’home’ would be technically incorrect. This and much more often made me feel misplaced. It is because of this that I can totally understand my kids’ confusion when trying to understand their Indian heritage when compared to their American surroundings and citizenship. Q: When one does not belong to a certain place and doesn’t think it is important to do so, then why do culture, traditional beliefs and religion matter? Everything matters when you want to enhance your life instead of hindering your own or others’ life path. Traditional beliefs and religious texts when practiced with balanced understanding of today’s cultures take human consciousness to a whole new level. Festivals, holidays, customs all have their place in teaching core values like humility, inclusivity, empathy, experiencing life with all our senses (food, fireworks, new clothes), spending wisely, the importance of community and being yourself in every circumstance. Core moral values help us in living our lives and in celebrating those around us. 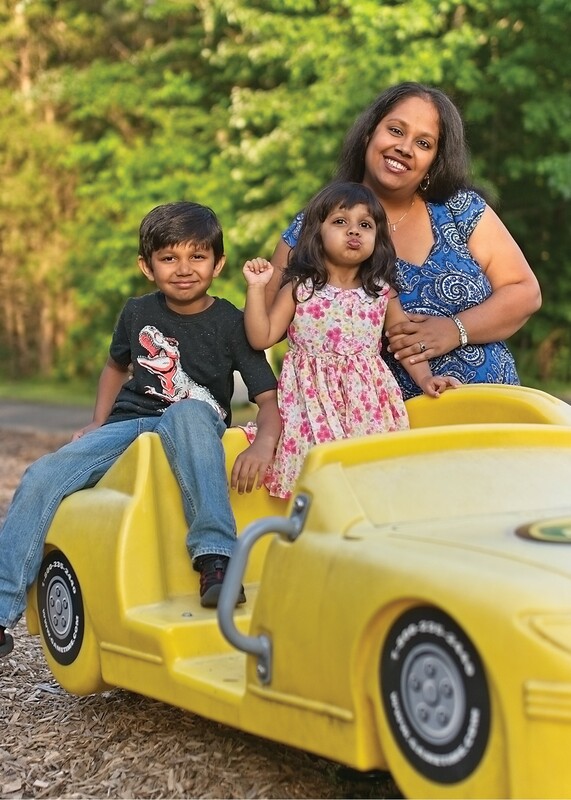 Q: What is a day in the life of Aditi Wardhan Singh, the mother, entrepreneur and writer? Ah! The most important thing to keep in mind when being an entrepreneur and mom from home is to have goals but be willing to adapt constantly. I write down goals the night before and aim to complete as many as possible in the day. So days start early with a couple of hours of work done before the kids wake up. After breakfast, play time, trips to the park or grocery store, we have lunch and I get back to work. Evenings are for cooking, long walks with the kids and some ‘me’ time where I read or watch television. If it has been a particularly easy day, I sneak in a few hours before sleep. I reserve weekends for family and friends. Well, maybe a few hours of writing too. Q: Tell us about an instance where your articles or initiative have positively impacted someone. 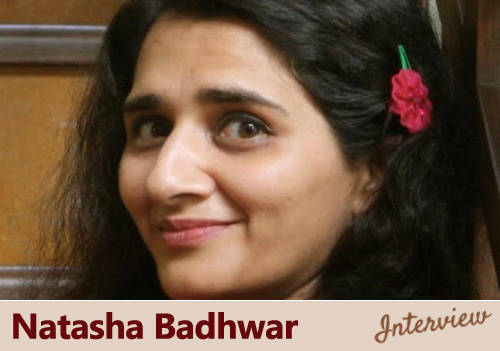 When I started the magazine, the idea was to provide a platform to those who are passionate about writing. It makes me immensely happy that a lot of talented people who had stopped writing or had always aspired to write, now are contributors to the magazine. A few instances which come to mind, is when people are pleasantly surprised by a certain article. It could be about celebrations around the world or about life in a city they weren’t even aware existed. I have had quite a few people message me how reading articles like “Being An Interfaith Family”, “The Day My Son Realized We Were Interracial Family” and “Leaving the 9-5 to Staying Up at Dawn” resonated with them. It showed them a sliver of their own life within. Our kids section where we showcase talent by kids around the world is also widely loved by families. It gives them a peek into the minds of the next generation and what they think. Q: Answer in one word- What would you like your children to remember you as? Q: What is your style of parenting? Are there any rules or tips/tricks you live by and would like to share with other parents in our community? I would say I have a balanced style. I don’t believe in following a thumb rule in parenting. You have to be yourself when dealing with kids. In today’s fast paced life, we pass many times teachable moments in the name of “picking our battles”. No matter what one chooses to do in life, parenting is not optional. You are first a parent, as you are creating global citizens that affects the world with every choice they make. Make use of every teachable moment you can. Be it while the kids watch TV or while they play or while you are at the store with them. Being positive doesn’t mean only seeing the good. It means finding the silver lining in each day no matter the situation. We need to empower kids with enough dialogue and tools to be able to make wise decisions on their own. We loved interviewing Aditi and wish her the very best in making RwC a success. Hope you liked reading too. Do leave your comments in the section below.